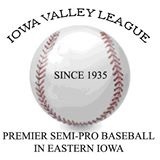 NORWAY - Connor McCaffery enjoyed a big day at the plate Sunday to help Red Top sweep an Iowa Valley League doubleheader from the Norway Bandits in Norway. McCaffery belted a three-run homer to help Red Top win the first game, 5-4, and his sacrifice fly in the second game proved to be the game-winning run in a 6-4 victory and the sweep. The outcome left Red Top and Norway tied for third place in the IVL standings with 6-6 records. The Stars swept Walford Sunday to take sole possession of first place with an 8-4 record. The scheduled doubleheader featuring Watkins at Williamsburg was canceled due to wet grounds. McCaffery's three-run homeer in the first game followed singles by Ross Kramer and Kirby Kerr. Red Top added two runs in the fifth on a walk by Izaya Fullard, a single by Kramer and a double by Kerr. Norway scored twice in the first inning of the opener on a double by Christian Stekl, an RBI single by Riley Braughton and another RBI single by Braedon Brown. Brown collected an RBI double in the fourth inning. The Bandits scored their final run in the sixth on base hits by Travis Mueller, Tony Salato and Jayson Zurita. Norway grabbed a 4-1 lead after four innings of the nightcap, but Red Top rallied for the 6-4 victory. Nick Day hit a solo home run for the Toppers. McCaffery snapped a 4-4 tie with his sacrifice fly and Fullard added an insurance run with an RBI single. Stekl belted a solo homer for Norway in Game 2. JT Sole hit a double off the outfield fence and scored for the Bandits. Tanner Lohaus picked up the victory in relief for Red Top with three innings on the mound. Norway at Watkins, 5 p.m.
Williamsburg at Walford, 1 p.m.